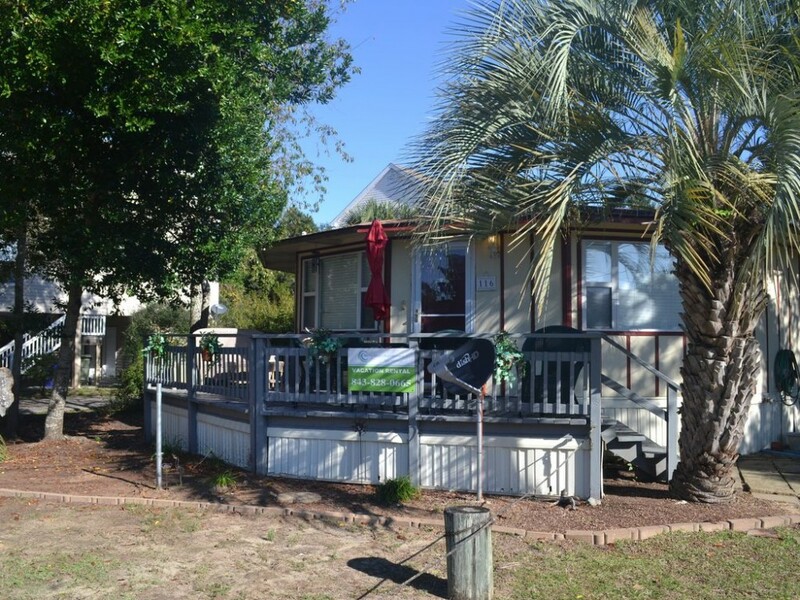 Marty's Merry Go Round is a lovely 2 bedroom 1.5 bath home waiting for guests who require all of the comforts of home, privacy, proximity to the ocean, and an excellent value. This home-away-from-home includes a fully-equipped kitchen, washer/dryer, deck, comfortable outdoor furniture, outdoor shower, private parking and more. What's more? It is only 500 feet to the beach. That's about 166 steps! Our little getaway is located in Surfside Beach, the "Family Beach," where you are minutes from Murrells Inlet, the "Seafood Capital of South Carolina." Also, close by is a water park, fishing charters, shopping, and world class golf courses. Rates do not include Taxes or Service Fees. Minimum age is 25 years.